Sanjeeta blogging out of health conscious Lite Bite is the sweetest mom of two young children out of India. Her series, Awesome Food Bloggers and Their Healthy-Living Secrets, is a brilliant venture to raise awareness even within those who are already leading a healthy lifestyles. On Lite Bite I love the section tagged Foods that Heal. There you will find features on honey, wheat germ and goji berries among other super foods that contain high doses of nutritious and healing qualities. Thank you so much Sanjeeta for asking me to be a part of this fantastic AFBHLS series. It makes me super conscious, aware and introspective, especially in this time of the year, as it is the eve of the Jewish New Year and we are in the midst of the High Holidays. I wish all of my family and friends L'Shana Tova שנה טובה and PEACE for Israel. This recipe features one of the symbolic foods of Rosh HaShana, honey, as I wish you all, a member of the tribe or not, a sweet life full of health and happiness with family and friends. 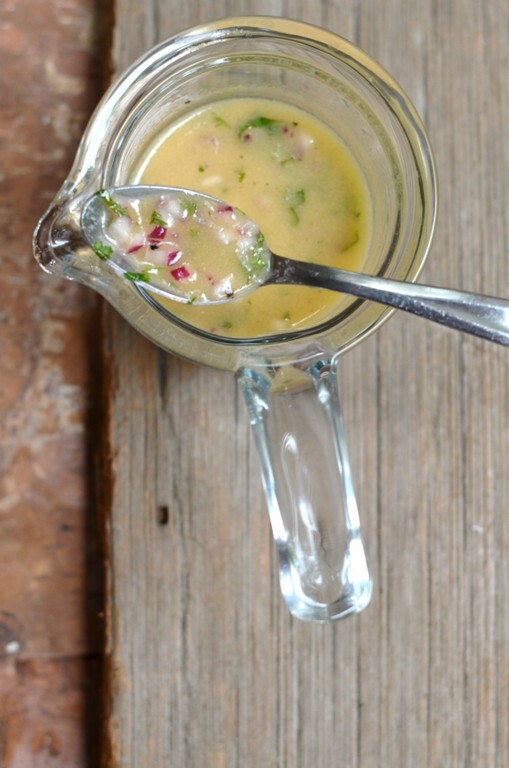 Please head over to Lite Bite for some of our healthy habits and a fantastic super simple and versatile seasonal recipe, but not before you follow and like Sanjeeta on twitter @sanjeetakk and Facebook. Many of the photos on Sanjeeta's site are slightly different than here. That salad is so prettily presented and looks amazing! A great guest post. Thanks for all the support and blog love, Shulie. Indebted to food blogging for bringing me close to such sweet & wonderful people across the world. Always a pleasure to come here and browse some authentic cuisines, beautiful & unusual veggie pictures and of course the warm welcome I get from your writings. Glad to be connected with you, love and hugs. What an awesome post.....Thanks for sharing. 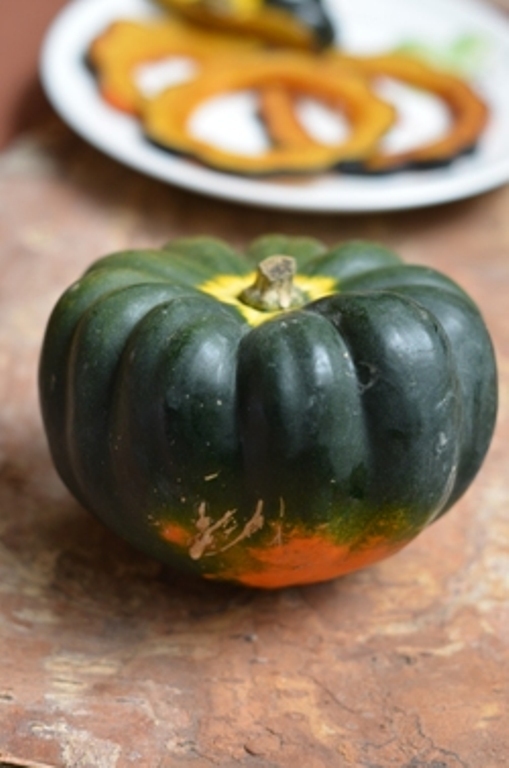 I love acorn squash and I'm happy to learn new things to do with this gorgeous produce! I grow them year after year and just about to harvest more. Lovely guest post, great photos. Shana Tova to you and the family, full of great food. This looks great! well done! What a beautiful pumpkin! I love pumpkin thinly sliced. 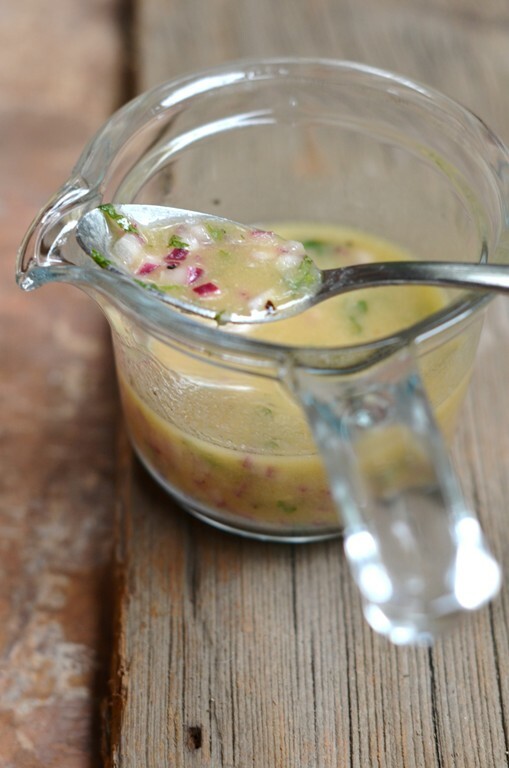 Your dressing looks truly moorish. I feel healthy reading this. Looks really delicious, care to share a plate :) love the pictures, Nice blog. Beautiful! 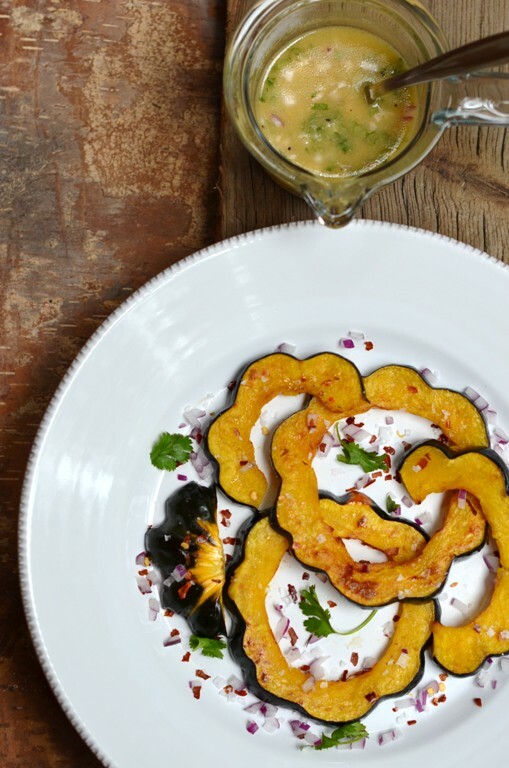 Love how you sliced the acorn squash. TY Rosa & Sanjeeta, of course! My pleasure.TY Alpana & Annapet I wish I had your green thumb. Heehee Soma 'Lite Bite'. TY Lora L'Shana Tova to you as well my honorary & you too Yael all the way in Israel. Love it when you call me Momma An. Happy festivities to you with all the upcoming Indian holidays. @squashblossombabie TY & to Cassandra too. Moorish is a first and I am liking it. :) Would love to Ali & TY for your kind words. Aww TY Chimnayie & Tanvi, I think that was the trick to make it appetizing first to the eyes. I was not too bad to attemp to cut it that way. Easier than I thought. Your squash looks beautiful! First time here and will definitely be back to check out your great recipes and photos. Thanks! I tend to avoid acorn squash, in favor of buttercup and delicata. But your post has inspired me, thanks!